Banks will earn close to $44 billion from deposit account fees this year — and if you thought opting for overdraft protection would spare you some change, you are wrong: Customers who enroll in their bank's overdraft program actually end up paying hundreds of dollars more in fees. While fee income is an important and growing stream of revenue for financial institutions, it's a dynamic that worries consumer advocates as the Trump administration lays the groundwork for rolling back financial regulations. “Approximately one-fifth of their net income comes from this area,” Mike Moebs, CEO and economist at Moebs Services, told NBC News. 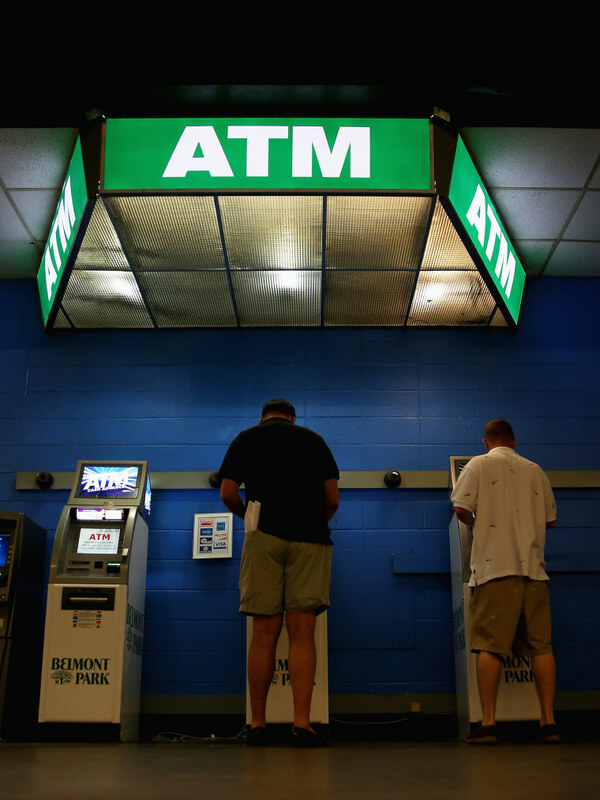 More than three quarters of fee revenue comes from overdraft charges, with the remainder coming from everything from ATM fees to monthly service fees to check-cashing and money-order fees. “Interest margins were squeezed,” McBride said. “Lending standards tightened significantly and the risk appetite changed dramatically,” cutting into banks’ revenue. Fees for services such as wealth management and mortgage originations, as well as penalty and service fees on deposit accounts have helped make up the shortfall. Regulatory changes made in the aftermath of the financial crisis required banks to get customer permission before allowing them to overdraw their account and incur a fee for debit purchases (although not checks or electronic bill paying). People who choose not to opt in will have their card declined and not incur a fee. Banks reframed the opt-in requirement as overdraft “protection” and aggressively promoted it in a bid to get customers to opt in. Now, the Consumer Financial Protection Bureau finds that the price of this so-called protection is high. A new report released by the Bureau shows that bank customers who enroll in overdraft “protection” pay up to $450 more a year in fees, with some customers who overdraw frequently paying nearly $1,300. “Despite recent regulatory and industry changes, consumers with low account balances and little margin for error continue to pay significant overdraft fees,” CFPB director Richard Cordray said last week. The agency recommended that banks change how they communicate with their customers to improve disclosure — so people know what they’re getting into and understand that opting in comes with a cost. But the agency is vulnerable to shifting political winds and an administration with a much more business-friendly outlook. “It’s certainly much more permissive and one’s that’s inclined to put restraints on the CFPB,” McBride said. A report issued in June by the Treasury Department was critical of the agency’s work, saying, “The CFPB’s approach to enforcement and rule-making has hindered consumer choice and access to credit.” The department recommended reforming the Bureau in ways consumer groups say would weaken its ability to protect consumers. “The study really underscores the problem where without some reasonable rules of the road that regulation in this area can accomplish, banks really stack the deck against consumers,” Borné said. “Reining in Wall Street is not a left-right issue. It’s a big guy-little guy issue,” Mike Litt, consumer advocate with U.S. PIRG, said in a recent statement. The organization released a poll last week finding that more than three-quarters of Americans support more regulation on Wall Street banks, including, it said, two-thirds of Republicans.